In Scribble Racer there was a lack of replay value. Once you made a good highscore there was not much more to do. No reason to play the game. So I wanted some kind of progress for the player. There should be a reason to pick up the game and play it again. This led me to the new main feature, the drawings. Basically a drawing is a new track. But it’s not an endless track as you know from the original Scribble Racer, it’s a track you can finish. And once you finish such a drawing-track the trace you have drawn will reveal in the outlines of a nice drawing. 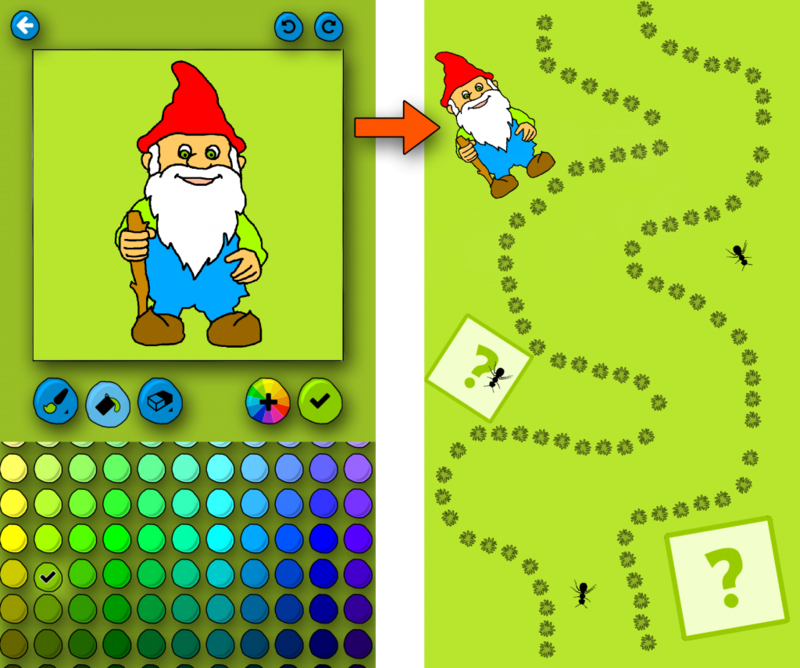 Once the outlines are created you can pick some colors and paint the drawings as you want. Finally the drawings turn into decorative parts of the main tracks. That way you will create many drawings which you can unlock from time to time and give your main tracks your individual style. There are also new challenging quests, upgradeable gadgets and new dangerous obstacles like deadly lasers and wild sandstorms. To find out more I suggest to download the game to your Android device and simply give it a try!